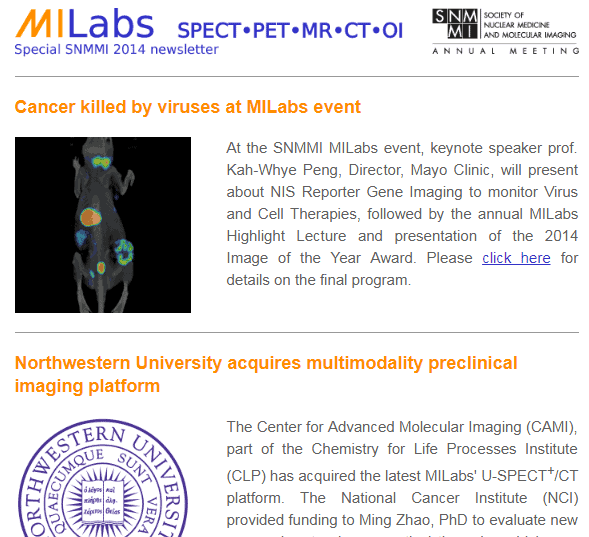 At the SNMMI MILabs event, keynote speaker prof. Kah-Whye Peng, Director, Mayo Clinic, will present about NIS Reporter Gene Imaging to monitor Virus and Cell Therapies, followed by the annual MILabs Highlight Lecture and presentation of the 2014 Image of the Year Award. 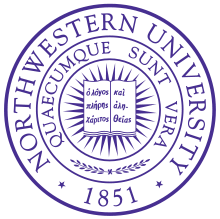 Please click here for details on the final program. 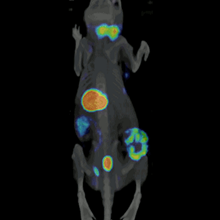 The Center for Advanced Molecular Imaging (CAMI), part of the Chemistry for Life Processes Institute (CLP) has acquired the latest MILabs’ U-SPECT+/CT platform. The National Cancer Institute (NCI) provided funding to Ming Zhao, PhD to evaluate new approaches to pharmaceutical therapies which may benefit clinical oncology patients. 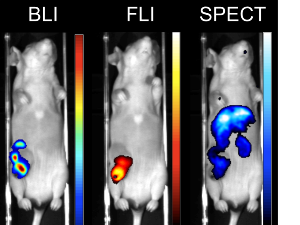 The MILabs multimodality preclinical Imaging platform will be completed with a bioluminescence (BLI) and fluorescence (FLI) imaging module. This allows to perform SPECT, PET, CT and Optical Imaging in a single run. For more information contact us.